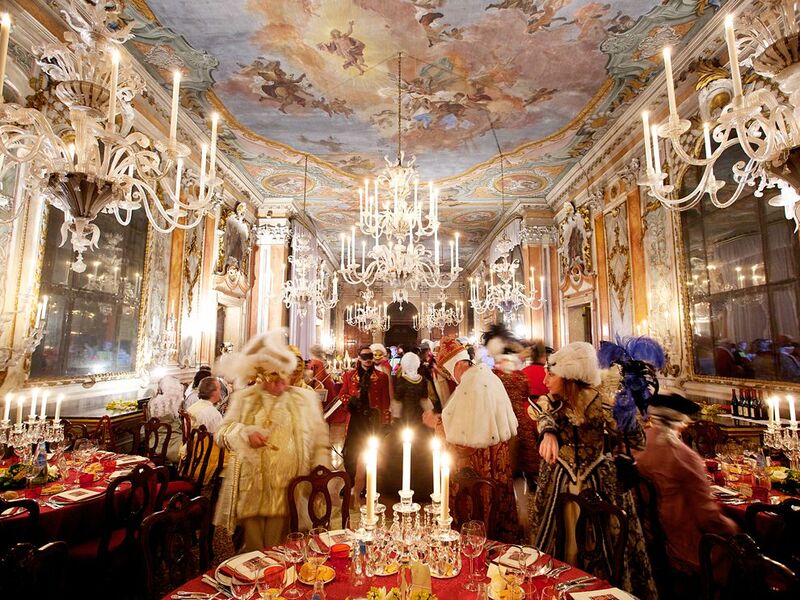 Spend New Year’s eve in Venice. 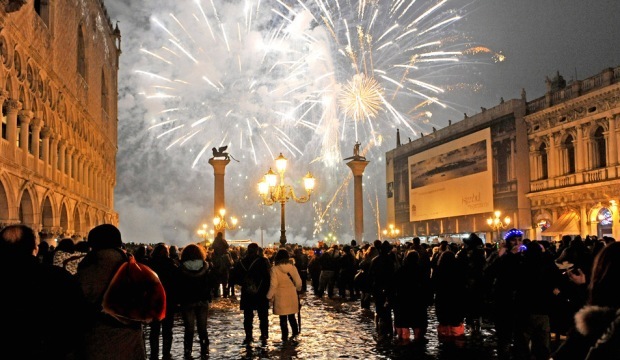 Celebrating 2016 in Venice with a firework at San Marco square is a unique experience. Normally everybody would bring his own bottle of Champagne ( or of Prosecco, the local sparkling wine) and then would enjoying the collective party. 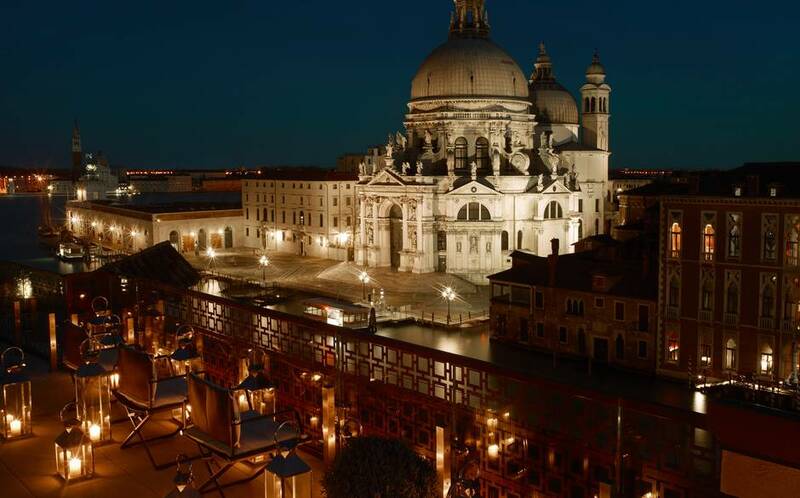 The main place to head for NYE 2016 celebrations is the symbolic St Mark’s Square. This is where the biggest crowds will be for counting down. There will be a NYE countdown to midnight via the bell of St. Mark’s Campanile, the imposing bell tower of St Mark’s Basilica (Campanile di San Marco to the Italian). The bell rings will be followed by the spectacular NYE fireworks display over city’s skyline. You won’t find many better backdrops than this anywhere in the world. The square itself will be packed, but the beauty of Venice is it’s close-knit nature so finding viewing points elsewhere should not be a problem for those who prefer to avoid the crowds. The Punta della Dogana is a recommended spot for a panoramic view from across the water. 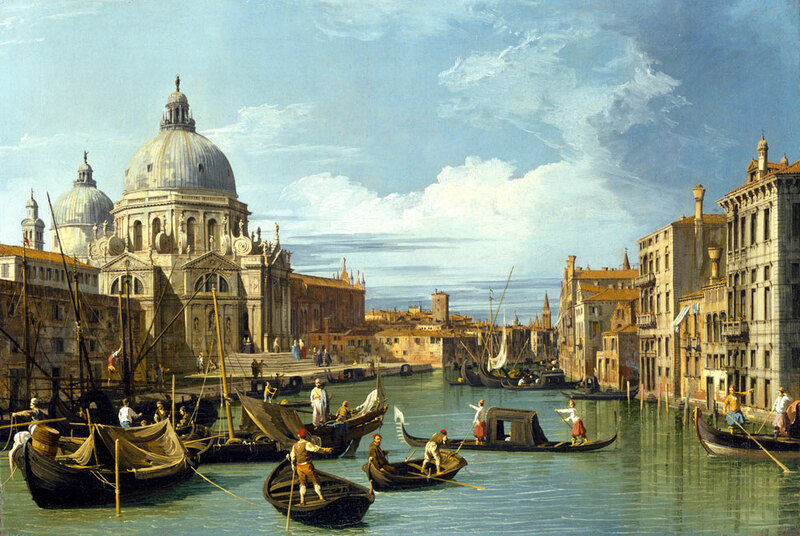 Another interesting event is the Venice New Year’s Concert at the spectacular Fenice Theatre, or Teatro La Fenice. The music show takes place each night from the 29th December 2015 to the 1st January 2016. New year’s day version of the concert is screened live on Italian TV channel Rai Uno and the conductor for this year’s event is Sir John Eliot Gardiner.